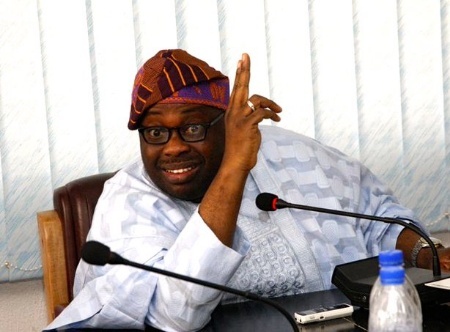 Dele Momodu, the publisher of the Ovation Magazine has said he would not support the All Progressives Congress, APC, in 2019. Momodu stated this during a question and answer session on his Twitter page. He stated that he would only support APC if the ruling party changes its presidential candidate to someone else, apart from President Muhammadu Buhari. On why he would not support APC, Momodu added that Nigeria deserved someone stronger than Buhari. “There is nothing personal I have about Buhari other than that in his present state, which is due to no fault of his, Nigeria deserves someone stronger. I wish him well always,”Momodu added. APC does not even need your support. You don’t have followers. see who is talking of support,a man who cannot win a ward election in his home state,a paper tiger, APC didn’t need your support,for we know where you and others like you belong.enemies of poor Nigerians. Well, what can I say rather he is entitle to his opinion…..
Just like I, Ed will support APC and work for the re-election of President Muhammadu Buhari, in 2019 Presidential election.